From The Guardian: The number of new homes built for social rent has fallen by almost four-fifths in a decade, according to official figures that come as more than 1 million families are stuck on waiting lists for council housing in England. 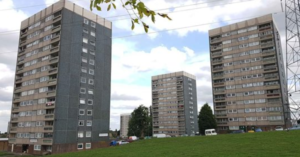 From iNews: Residents in a tower block have said that they’re having to use thermal blankets to keep warm after the Tory government said it wouldn’t pay to replace the block’s thermal cladding after they inspected the building after the Grenfell tragedy. 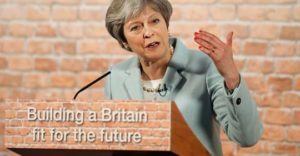 From The Independent: Theresa May’s flagship policy for sparking a revival in council housebuilding will not deliver a single new home in more than half of the local authorities in England. From Daily Mirror: The number of new social rent homes has been slashed by more than 200,000 since the Tories came to power, new figures reveal. 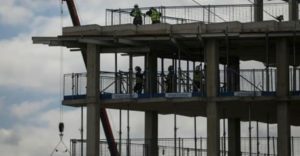 From Daily Mirror: The north of England is set to lose out on billions of pounds of investment because the Government has miscalculated the number of new homes needed, experts warn today. From The Observer: The Tory government is breaching fundamental obligations to protect its citizens’ right to life by failing to address the systemic problems that led to the Grenfell Tower tragedy, the UK’s human rights watchdog has warned. 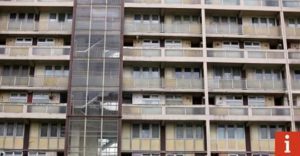 The Equality and Human Rights Commission has written to the Department for Housing, Communities and Local Government (DHCLG) outlining its concerns about the continued use of combustible cladding in existing buildings and advising the department of its responsibilities under human rights laws to protect lives. 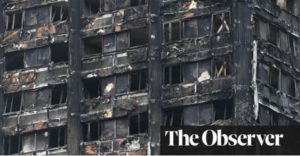 The watchdog has yet to receive a response from the department, which in June launched a consultation into the use of cladding, believed to be a key factor in the Grenfell disaster. The commission said it was concerned that the consultation omits any reference to the government’s duty to protect lives under article 2 of the European convention on human rights and schedule 1 to the Human Rights Act 1998. From Daily Mirror: First-time buyers have been left high and dry after the number of cheaper homes plunged under the Tories. Just 7,245 new affordable homes to buy were funded by the government last year – down from 20,298 in 2009/10. 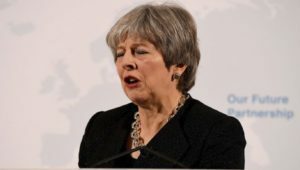 From The Guardian: Theresa May is facing pressure from Conservative council leaders to invest more in low-cost rented homes, amid growing concern at local authority level that not enough is being done to fix Britain’s housing crisis. 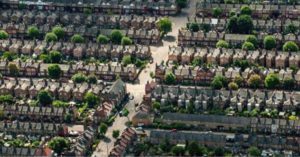 From Left Foot Forward: Figures on the state of the home ownership market in England, published by the Office of National Statistics, reveal rapidly worsening affordability problems, putting buying a home beyond most young people. The affordability ratio calculated by ONS shows that the average house price was 7.9 times average annual earnings in 2017 – the largest ever recorded and more than double that of 1997. 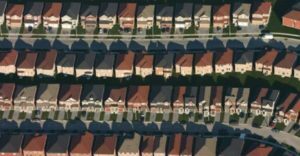 To achieve levels of affordability last seen two decades ago – the average house price in 1997 being 3.5 times average earnings – would require that today’s average earnings would need to double to almost £66,000 annually. Put another way, average earnings would have to increase by around 3% every year for the next four decades, while the average house price stayed constant at today’s level, for 1997 levels of affordability to be reached once more. 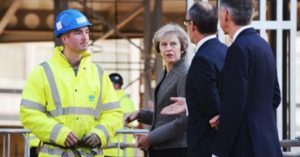 From Morning Star: Labour-run councils are outbuilding their Tory counterparts by an average of more than 1,300 new homes each since the Tories took power in 2010, new research released by Labour revealed yesterday. On average, 2,464 new homes were started in Conservative-led council areas between 2010 and 2017. But the House of Commons Library analysis found that Labour councils started building 3,791 homes on average — 54 per cent more than Conservative councils. The figures also show that, despite swingeing Tory cuts in the name of austerity and heavy-handed restrictions, Labour councils built an average of 93 council homes, almost five times as many as Conservative-run councils. From Daily Mirror: A top Tory councillor has issued a devastating verdict on Theresa May’s plans to solve the housing crisis. 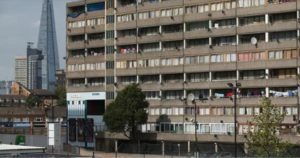 From The Independent: Almost a quarter of a million social homes in England for residents on low incomes will have been lost under the Conservatives by 2020, new figures have revealed. 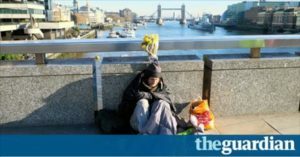 From The Independent: Nearly 130,000 children in Britain will wake up homeless and in temporary accommodation this Christmas as child homelessness reaches a 10-year high, new research shows. 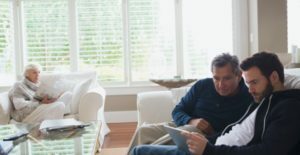 From The Independent: The number of young adults living with their parents has reached an all-time high, with more than a quarter of people aged 20 to 34 still living at home, new figures have revealed. 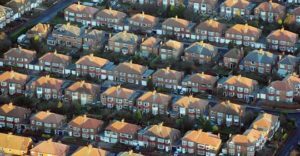 From Daily Telegraph: A legal loophole which allows developers to build fewer affordable homes has contributed to a big shortfall in such properties, according to new research by Shelter. 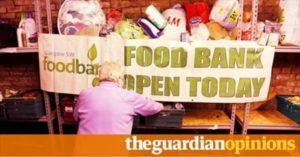 The Guardian view on homelessness – do ministers care? 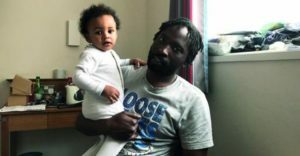 From The Independent: The extent of the crisis facing Britain’s private renters is revealed today as new analysis shows millions of tenants are living in homes that contain dangerous safety hazards and have been deemed unfit for habitation under Government standards. 29% of homes rented from private landlords fail to meet the national Decent Homes Standard. Channel 4 News video: Watch Tory member of the London Assembly for West Central, Tony Devenish, literally claim that new blocks of housing being bought up en masse by overseas billionaire investors benefits us all, and that there’s no alternative. “We are building lots of homes but who are they for? They’re for billionaire investors, they’re not for Londoners.”Author Anna Minton argues that new homes in London are not affordable. 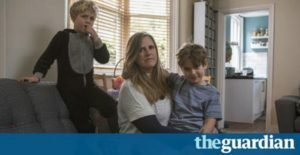 From The Guardian: A record number of renters are being evicted from their homes, with more than 100 tenants a day losing the roof over their head, according to a shocking analysis of the nation’s housing crisis. 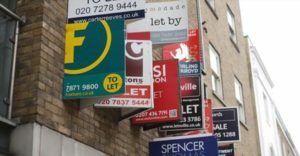 The spiralling costs of renting a property and a long-running freeze to housing benefit are being blamed for the rising number of evictions among Britain’s growing army of tenants.